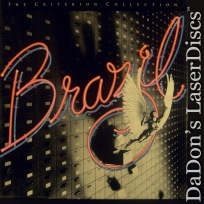 Also Includes 94 Minute "Brazil: The Love Conquers All Version"
Brazil 1985 - 142 min. 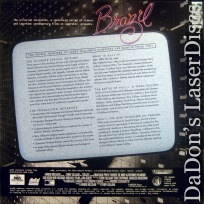 - Color Genre: Sci-Fi Rated R Country: USA LaserDisc Movie Storyline: BRAZIL is Terry Gilliam's masterpiece. Cowritten by Gilliam, playwright Tom Stoppard, and Charles McKeown, the cult-favorite film is set in a futuristic society laden with red tape and bureaucracy. When a bug (literally) gets in the system, an innocent man is killed, leading mild-mannered Sam Lowry (an excellent Jonathan Pryce) to reexamine what he wants out of life. He decides to fight the totalitarian system in his search for freedom--and the woman he loves. The terrific, offbeat cast features Robert De Niro as a renegade heating engineer; Katherine Helmond as Sam's ever-younger mother; Michael Palin as a government-sanctioned torturer with a distaste for upsetting the status quo; Bob Hoskins as a vengeful Central Services employee; Jim Broadbent as a wacko plastic surgeon; the wonderful Ian Holm as Sam's nerve-ridden, pitiful boss, afraid of his own signature; and Kim Greist as the rebel Sam falls for. The look of BRAZIL is relentless, overwhelming, and outrageously spectacular. Giant monoliths rise from the street; government offices are a network of computers, pneumatic tubes, and narrow hallways built with Nazi-like precision; and apartment complexes are a maze of washed-out grays and numbers, all frighteningly uniform. The terrorist explosions actually bring color into this dull, monochramatic world. 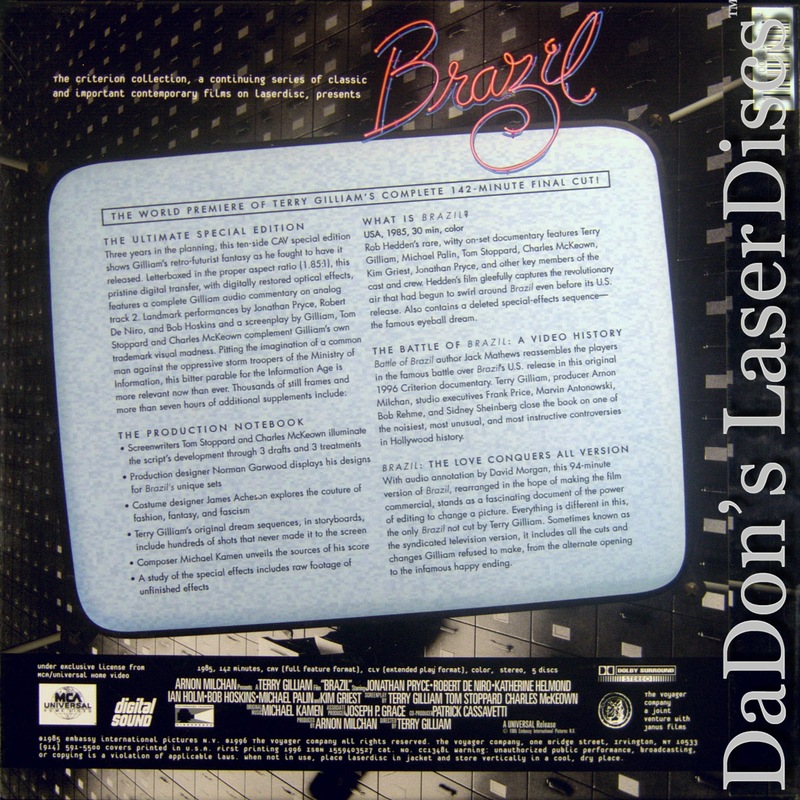 BRAZIL is a nightmare vision of the future, yet also hysterically funny and incisive, one of the most inventive, influential, and important films of the 1980s.